Dquip, founded in 2009, is an Indian software development company that designs and delivers business software solutions, especially their sales-focused customer and lead management system — what Dquip simply calls Sales Management Software. Dquip’s sales management software is a comprehensive solution for almost every process that your sales team owns, from customer relationship management with full contact histories to lead management / nurturing. Available via the cloud or installed on-premise on your own server, Dquip’s flexibility in delivery and design — only buy the modules you need — allows sales teams of any size to construct their own custom sales management system. Create your sales target and delegate individual targets to every member of your team, and monitor each lead as it moves through your custom sales process. From the base contact management module you’ll be able to track all interactions and automate the sending of birthday, anniversary, or other messages. 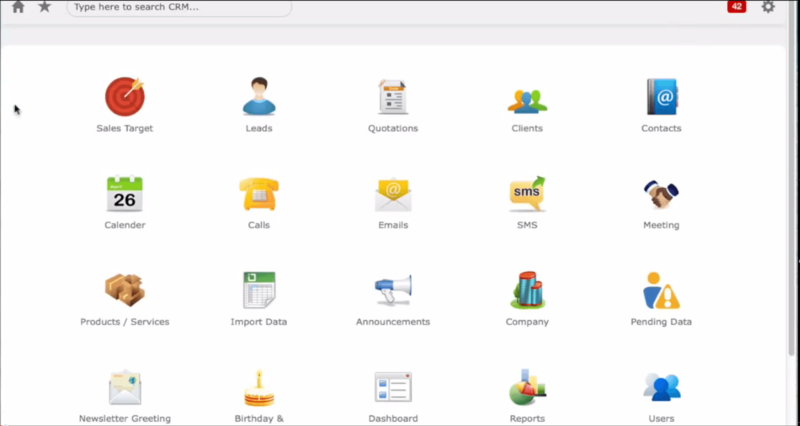 Perhaps one of Dquip’s most innovative features is the ability to sort and arrange contacts in multiple ways: by vendor, by client, or by lead, allowing you to attach multiple contact records to a database entry and even manage their automated messaging in a combined, more visible manner. Dquip even allows you to send email messages from directly within the sales management software — no need to work with multiple windows and/or programs running. We recommend Dquip to any sales team that’s looking for a single product to manage contacts, lead nurturing, sales planning and reporting, especially those looking for a solution that can scale up as the organization grows. Not sure if Dquip’s sales management software is the right tool for your organization? Call, click, or email to speak with an unbiased Technology Advisor for a no-cost, n0-obligation consultation on your unique needs. Learn everything you need to know about Dquip. Our experts will reach out to you shortly.